Almost as iconic as grain elevators, churches define the rural Manitoba landscape. 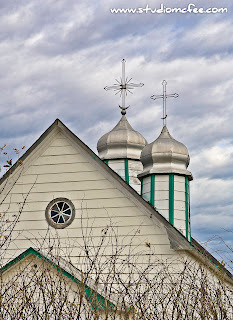 There are places of worship for many religions but the Ukrainian churches are, perhaps, the most obvious in central Manitoba north of Brandon. 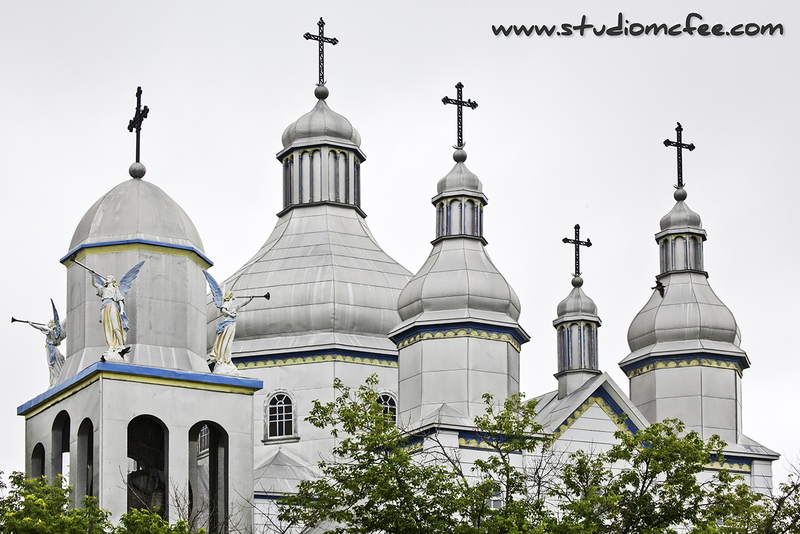 Ukrainian Catholic and Ukrainian Orthodox buildings tend to be quite elaborate. The design of the cross, the number of spires, and other elements of the architectural design, serve to define the history and religious underpinnings of each church. It's also interesting that churches can be found on rural roads unrelated to a particular town or village. Sometimes, the church remains but the village is long gone. In other cases there never was a village - just the church. I am told that when families settled in Manitoba they often built the church before constructing their own homes. This may explain the isolated rural churches. Places of worship have had a long history of interesting architecture. Across the world, some of the most intriguing buildings are associated with one religion or another. 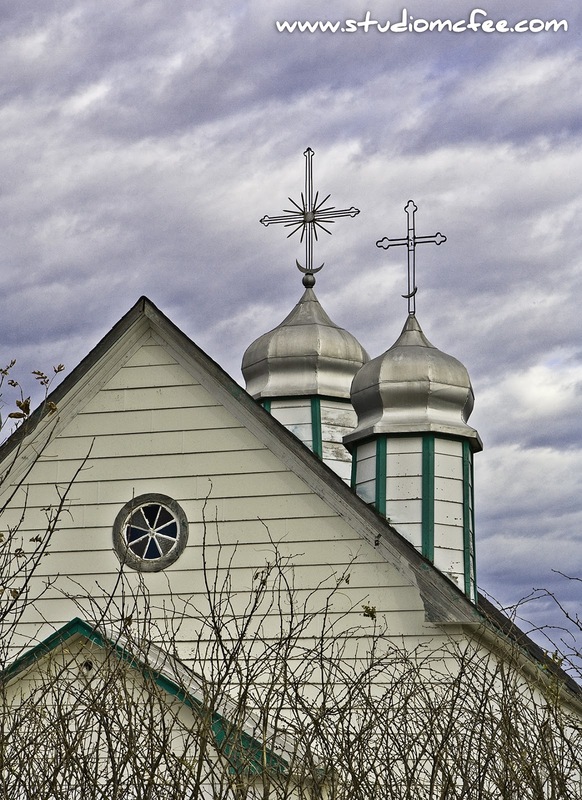 In central Manitoba, Ukrainian churches have made quite an impact. They are part of the unique heritage of Manitoba. 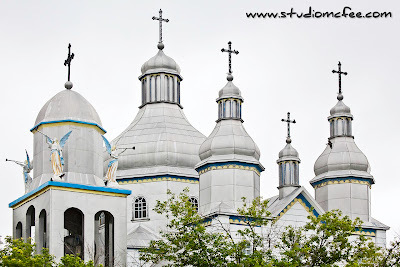 This short post is in no way an exhaustive treatment of Manitoban places of worship, churches, or even Ukrainian churches. I travel and photograph what catches my eye. There is no intention to favour one religion, denomination, or church, over another.